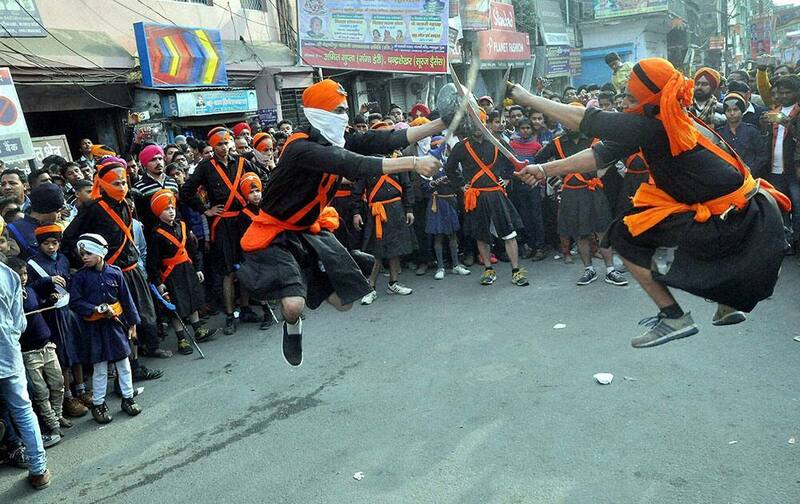 Sikh people exhibit their skills in sword fighting during a Nagar Kirtan (Procession) to celebrate 350th birth anniversary of Guru Gobind Singh in Moradabad. BAI President Akshilesh Das Gupta , Badminton coach P Gopichand and Team Players unveiling the trophy for Premier Badminton League , in Hyderabad. 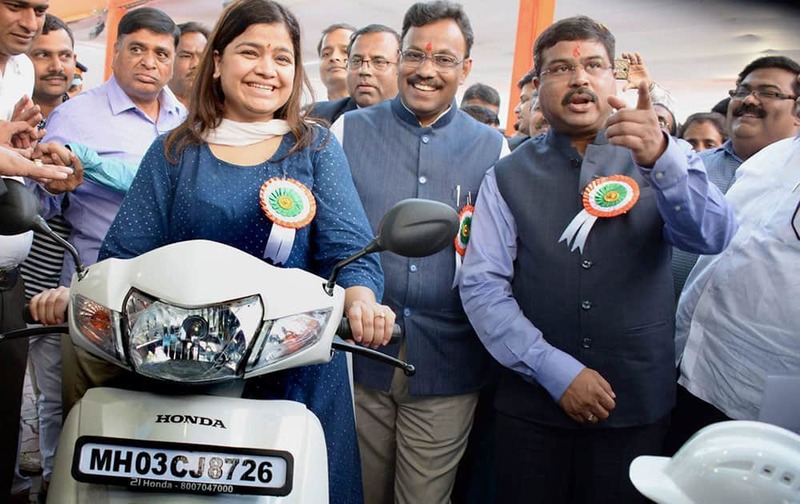 Union Minister of State (Independant Charge) for Petroleum and Natural Gas Dharmendra Pradhan (R) with MP Poonam Mahajan and Maharashtra Education Minister Vinod Tawade at the launch of CNG-two-wheelers at BKC in Mumbai.